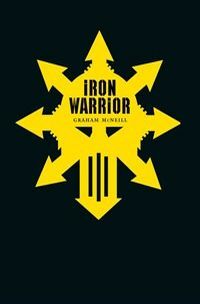 The new omnibus contains Graham McNeill’s seminal Storm of Iron along with the novella Iron Warrior – previously only available as a limited edition hardback – and a collection of short stories featuring Warsmith Honsou. It will be available early next year. If you can’t wait that long for Iron Warrior action, the original Storm of Iron is available as an eBook. 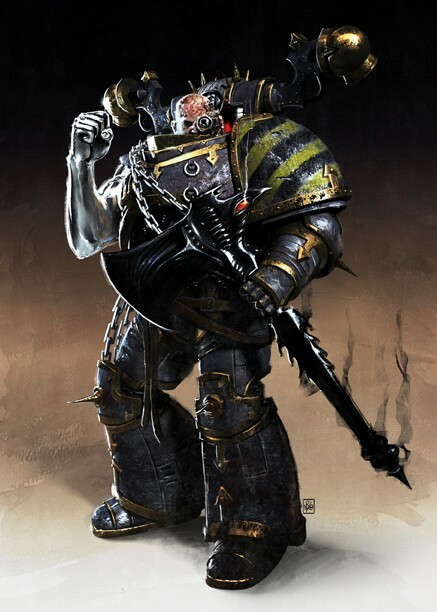 Alternatively, see the bitter struggle from the perspective of (the misguided Imperial fools) the Ultramarines, in Dead Sky, Black Sun and The Chapter's Due, where Uriel Ventris of Fourth Company faces the might of Warsmith Honsou. Ce nouvel omnibus contient la novella Storm of Iron, sur les Iron Warriors - auparavant uniquement disponible en édition limitée cartonnée - et une collection d'histoires courtes mettant en vedette Warsmith Honsou. Il sera disponible début d'année prochaine. Si vous ne pouvez pas attendre aussi longtemps ce récit d'action des Iron Warrios, l'original Storm of Iron est disponible en eBook. Sinon, voir la lutte acharnée du point de vue de ses fous d'impériaux d'Ultramarines : Ciel mort, Soleil Noir et The Chapter's Due (ce dernier titre est encore inédit en français, à paraître début 2012), où Uriel Ventris de la quatrième compagnie fait face à la puissance de Warsmith Honsou. 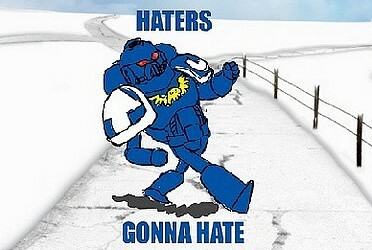 Follow the schemes of the embittered Warsmith Honsou in his struggles against the hated Space Marines of the Imperium. 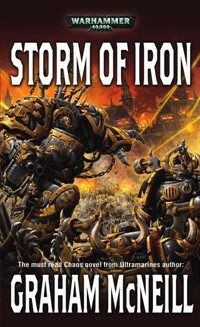 Containing the novel Storm of Iron and the Novella Iron Warrior, gathered alongside several Iron Warrior short stories. On the nightmare battlefields of the Warhammer 40,000 universe, few foes spark more fear and dread than the Chaos Space Marines. Nurturing a hatred that is millennia-old, they attack without mercy, spreading terror and destruction in their wake. Now hell has come to Hydra Cordatus, for a massive force of terrifying Iron Warriors, brutal assault troops of Chaos, have invaded the planet and lain siege to its mighty imperial citadel. But what prize could possibly be worth so much savage bloodshed and destruction and how long can the defenders possibly hold out ? Son histoire se passera sur son monde, la ou il y a sa forteresse ou un récit ou on le voit dans différentes périodes de sa vie ? Garviel Loken a écrit: Son histoire se passera sur son monde, la ou il y a sa forteresse ou un récit ou on le voit dans différentes périodes de sa vie ? Le roman Storm of Iron est déjà disponible en français sous le titre Déluge d'acier (Bibliothèque Interdite). ==> DELUGE D'ACIER - Un récit complet Iron Warrior par Graham McNeill. Les autres textes seront des nouvelles sur et autour de Warsmith Honsou, mais nous n'avons pas plus d'infos sur ces textes pour le moment. Des inédits peut-être ? En clair c'est une rééditon de Déluge d'acier avec des nouvelles en bonus. Pour les fans de Warsmith Honsou je signale l'existence d'un excellent article du Lexicanum (en anglais) qui lui est consacré ! Possible pour la traduction mais il me faut un peu de temps .De plus je viens de lire la page et je partage pas tout les faits indiquer. GREG Wolf Lord a écrit: De plus je viens de lire la page et je partage pas tout les faits indiquer. voila un autre omnibus qui va finir sur mon étagère. le hic, sa seras d'attendre mars 2012. The beast had come out of nowhere, a monstrous figure in battered armour with the paint stripped from its plates. Flashes of yellow and black leapt from between two abandoned dwellings, and Joelle was dying, down on her knees and vainly attempting to stop her guts from spilling out over the rocky ground. Kellan had managed to fire a shot, the only one of their squad able to even raise his weapon, but it hadn’t done any good. A fist punched him through the air and left him sitting with his back to the wall of an empty domicile with his breath coming in painful, rasping gurgles. Like everyone in the Calth Defence Auxilia he’d received training from the medicae. Not much, but enough to know that several of his ribs were broken and that at least one of his lungs was punctured. The beast had killed them all, and he’d watched the whole thing. 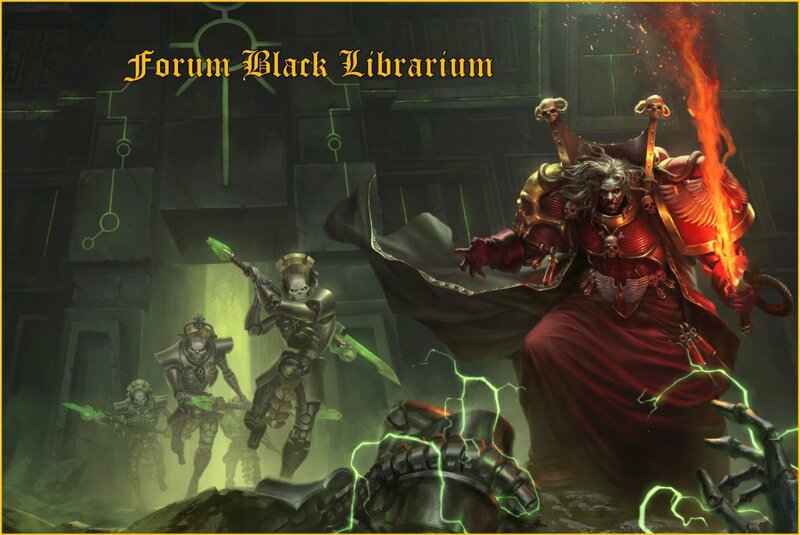 Next week will see the launch of Black library’s shiny new streamlined webpage, complete with links to BL TV and Quote of the Day. Check back Monday to see it in action. Rappel : Cet omnibus sortira en anglais courant mars 2012. Voir la présentation dans le premier message du sujet de discussions. 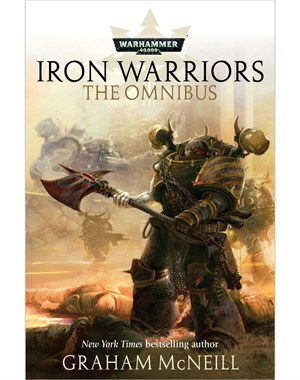 Iron Warriors: The Omnibus est maintenant en précommande. We were first introduced to Warsmith Honsou in Storm of Iron. Back then he was known as Honsou the Half-Breed, due to his mixed lineage that combines Iron Warrior and Imperial Fist gene-seed (that’s why he has so many yellow stripes on his armour). Despite these humble beginnings, Honsou rose through the ranks, continually beating the odds to crush his enemies and gain favour. Originally meant to be a one-off book, Honsou’s popularity soon saw him return as antagonist to Uriel Ventris in the Ultarmarines series, and since that day, there seems to be no getting rid of him. 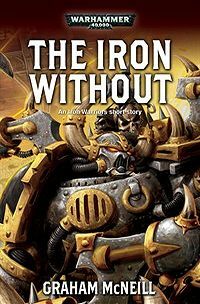 Iron Warriors: The Omnibus collects together the novel Storm of Iron, five short stories (four of which are available as eBooks above and the Enemy of my Enemy, previously only available in Inferno #44) and the novella Iron Warrior. This is the first time that one of our limited edition novellas has been rereleased, two years after it first went on sale. If you missed out first time round, make sure you catch this one. We have trawled the archives and are now able to bring you a few pictures of how Honsou has appeared over the years. We’re not sure which one Honsou is in the first picture, but we’ve been assured he’s there somewhere (let us know on Facebook if you think you can spot him). 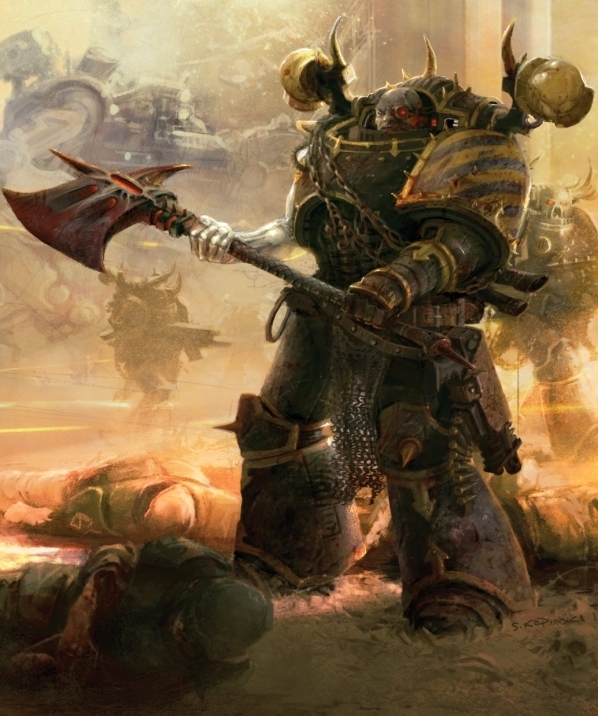 Each of the other two show you the Warsmith with his trademark living-metal arm (stolen from Pasanius on Medrengard in Dead Sky, Black Sun) and huge power axe. The third one- the cover to the new omnibus- is our favourite. Peut-on l'espèrer un jour dans nôtre belle langue? Mortarion a écrit: Peut-on l’espérer un jour dans nôtre belle langue? 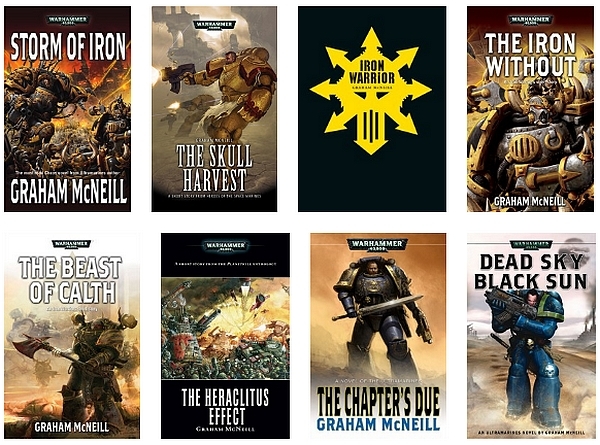 - Graham McNeill est un des auteurs phares de la Black Library, il est "bankable", donc il se vendra. - Plus de la moitié des textes de cet omnibus existent déjà en français, donc il ne restera à traduire que les inédits. - Le roman Déluge d'acier est introuvable maintenant, les fans que l'ont pas seront très heureux de pouvoir le récupérer, même compilé dans cet omnibus. Je l'adore ce honsou, pour avoir lu déluge d'acier, je peux dire qu'il est terrible!!! Du McNeill et en plus la pochette tabasse, quoi de mieux? 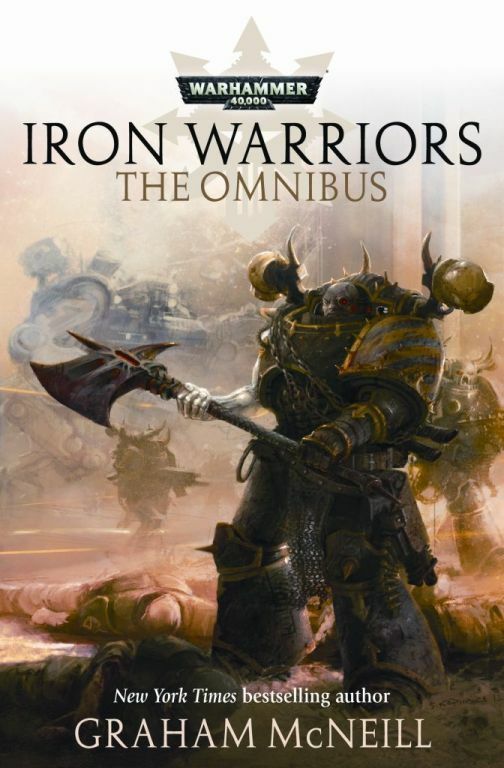 A partir d’aujourd’hui 3 nouvelles de Graham McNeill , inclues dans l'omnibus Iron Warriors, sont disponibles en DL payant sur le site web de la Black Library (au format ebook ! = epub et mobi). Of all the enemies Warmaster Honsou has made in his artificially prolonged lifetime, one stands above all others – Uriel Ventris. Honsou’s hatred for the Ultramarine captain burns so brightly that he will stop at nothing to extract his revenge, even attempting the nigh on impossible task of capturing the most heavily defended of the Ultramarines star forts, one that holds a secret at its very core. 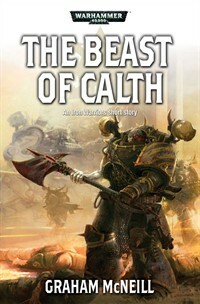 As the Iron Warriors fall upon the world of Calth, Soltarn Vull Bronn is tasked with an important mission by the warsmith, one that could decide the result of the entire war.